Who are the Dalits? What Does it Mean to be One? Note: Today’s article is the product of two face-to-face meetings with the author, who is not being named for security reasons. It first appeared here on the date of the 20th anniversary of the death of Mother Teresa, which was not planned but is certainly an interesting coincidence. For more information visit the website under the title below. Who are Dalits, and What Does it Mean to be One? The Dalits are the most exploited people in the world and represent a people group in India formerly known as the “untouchables”. They are considered totally impure and unworthy to be considered a part of the caste system. The word “Dalit” means downtrodden, broken, or crushed. 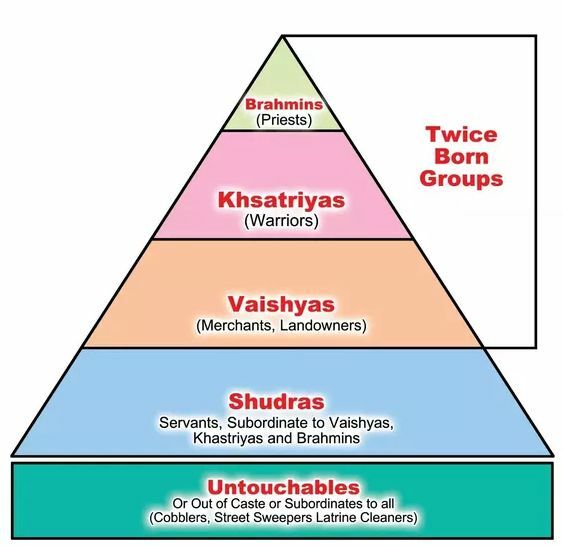 Strictly speaking, they have been born outside the caste system and are considered soulless, outcast people with no connection to Brahma, the Hindu god who created the caste system from his body. One out of every four Indians is a Dalit. They are considered so impure that their mere touch severely pollutes members of all other castes. According to Hindu belief, their sub-human position is the consequence of their karma and sinful behaviour in a previous life. Untouchability is a distinct Indian social institution. It legitimizes and enforces practices of discrimination against people born into particular castes, and legitimizes practices that are humiliating, exclusionary, and exploitive. The institution of “untouchability” refers not just to the avoidance of physical contact but to a much broader set of social sanctions. Dalits have been deprived of all religious privileges such as temple worship, access to the Vedas (Scriptures), and the priesthood. They have also been denied participation in social ceremonies and festivals and denied access to public parks, services, and utilities, including water sources and wells. The Dalits also have the least access to education and health care, and experience dehumanization at the hands of the “higher” castes. For Dalits, an English education is the only way forward. Without it they cannot qualify for the benefits and privileges of government reservation and affirmative-action programs. Without an English-based education Dalit students can never advance to higher-level English schools or gain entrance to a Central Government university. All the Central Government-run higher educational institutions use English as their medium of instruction. Central universities and medical schools also instruct in English and only admit students through English language examination papers. The dilemma facing the Dalit school children is the result of the government’s policy of requiring all educational curricula taught in primary and public schools to be taught in the regional languages. This makes it virtually impossible for Dalit children to advance in English education. Dalits also need an English-based education so they can compete in a global economy. In the new Indian economy, globalization and information technology are communicated in English. Dalit leaders believe that knowledge creates all other avenues of freedom and that education is the primary key to any advancement the Dalits hope to have in this world. 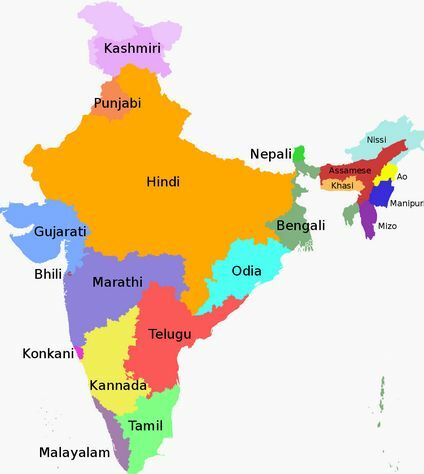 This is why Dalit Freedom Network Canada and partners in the USA, United Kingdom, and several other countries are committed to establishing English education centers for Dalit children in India. In 1956, Dr. B. R. Ambedkar, the Moses of the Dalits, spearheaded the first major socio-spiritual movement of the Dalits. He concluded that if Hinduism was not able to reform itself and annihilate the caste system, then conversion was the ultimate solution for the Dalits. Ambedkar championed religious freedom for the Dalits, thereby leading hundreds of thousands of Dalits into Buddhism. As a result of his courageous stand, Dalits have been embracing other faiths in various individual states of India. This ongoing exodus from Hinduism is because the Dalits continue to endure centuries-long oppression, struggling for human rights, equality, personal dignity, and spiritual freedom. Hundreds of thousands of Dalits throughout India responded and converged on the Capital in spite of government opposition and intervention. By mid-morning over 100,000 Dalits had gained access to New Delhi and were ready to begin the historic ceremony of conversion to Buddhism, Islam, and Christianity. In view of the historic developments among the Dalits, it is not surprising that a number of State Governments enacted anti-conversion laws in an attempt to stop the exodus of Dalits from Hinduism to other religions. As of 2017, six states have passed “anti-conversion” laws and a seventh is in the process of passing legislation. Upper caste Hindu leaders, together with right-wing fundamentalists known as Hindutva and other political factions, see the empowerment of the Dalits as a threat to their religious and political power base. They have portrayed religious conversions as illegitimate and subversive. Every attempt is made to maintain the power structure of the upper castes. Without the slavery of the caste system, the whole edifice of the upper caste power structure comes apart, religiously, socially, and politically. The right-wing fundamentalist groups are determined to prevent any changes of the Dalit status by enacting these “anti-conversion” laws. When Dr. Ambedkar led the Dalit exodus from Hinduism in 1956, the Christian Church of India was unprepared for such a historic development. Having been influenced by British colonialism and riddled with caste-based politics, the Church had no appeal whatsoever to Dr. Ambedkar, who sought a religion that would unite his people and bring cohesion and equality to all the sub-castes and untouchables. Fifty years later, Dr. Joseph D’Souza and leaders of All India Christian Council determined that they would never let this kind of lost opportunity happen again. In their historic meeting in Hyderabad in early 2001, Christian leaders representing over 5,000 church denominations and Christian organizations unanimously declared their solidarity for the Dalit people and committed to help free the Dalits and their children from centuries-old enslavement. This action was followed by total support of the second Dalit exodus from Hinduism in New Delhi on November 4, 2001. On this historic occasion many hundreds of Christian leaders and observers from the West were present to witness and express solidarity for the Dalits as they sought liberation. Three Christian leaders were given opportunity to speak and express public support of the Indian Christian Church. One speaker declared: “The whole Church of India is with you, we are your friends.” He declared that they were there because Jesus loved the Dalits and Christians were committed to bringing the love of Jesus to the Dalits in word and in deed. The speakers assured the Dalits that the Christian Church of India supports the Dalits’ freedom of choice to choose their own destiny. 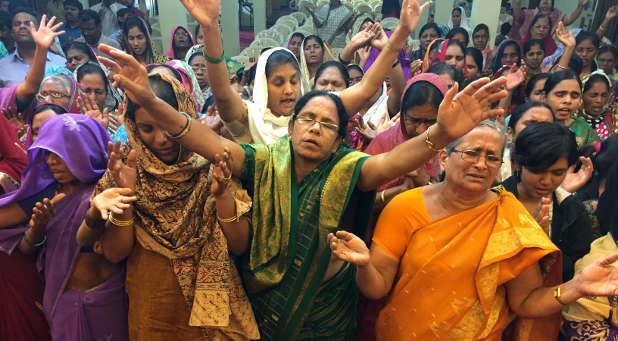 Dr. Joseph D’Souza believes that the Church’s open stand with the Dalits and their movement for liberation has put the Indian Church on the right side of history. Even though the attacks against the Indian Christian community and Dalits continue, the pursuit of freedom for Dalit families and their children also continues, unabated. Dalit leaders believe that with the support of Christians and compassionate people worldwide, a new day of hope has dawned for them and their children. They have asked that we help educate their children and give them dignity and hope for the future through a Christian worldview. We invite you to stand with the Dalits in their quest for freedom. Once there was a shopkeeper who sold very expensive widgets, some of the best widgets you could buy. While people came from all directions to purchase his widgets, he had only two customers who he would consider regulars and they would both arrive every other Friday. One came in usually shivering in the cold. His cloth coat just wasn’t enough to keep the winter temperature from getting through. Fussing with a packages of tissues for a runny nose, he would usually buy two or three or sometimes four widgets, paying the price that was on the sign above the counter. Occasionally, he would say he was buying four, only to find himself short on cash, and have to put one back. The other arrived in a luxury car, the car was obviously quite warm, because he never shivered. He would buy in multiples of ten; usually sixty, eighty or a hundred and he never paid the price on the sign. Instead, the shopkeeper would sell him product at a generous discount, or he would charge him for 60 but give him 20 free, for a total of 80. The shopkeeper had been listening to the words of the one called The Master or sometimes called The Teacher. He had some interesting stories, but none about shopkeeping or widgets or retail pricing. But there was a tone or a tenor to his teaching that seemed to reach beyond the specific stories and have all manner of ethical ramifications. Then the second regular customer rolled up in his expensive car. “I’ll take a hundred widgets today;” he said; so the merchant went to the cash register and keyed in 100 at the price on the sign above the counter and told him the total. 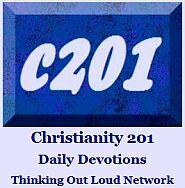 …Three days ago, we asked the question if offering certain bonuses to some customers but not other customers was the type of thing that Jesus had in mind when he gave the Sermon on the Mount and other teachings, inspiring James to write about what we call The Sin of Partiality. My brothers, show no partiality as you hold the faith in our Lord Jesus Christ, the Lord of glory. For if a man wearing a gold ring and fine clothing comes into your assembly, and a poor man in shabby clothing also comes in, and if you pay attention to the one who wears the fine clothing and say, “You sit here in a good place,” while you say to the poor man, “You stand over there,” or, “Sit down at my feet,” have you not then made distinctions among yourselves and become judges with evil thoughts? The gospel is all about inclusion. Paul wrote to the Romans, “Accept the one whose faith is weak,”and while he was speaking to something specific, accepting the one whose pocketbook is weak is also a good fit. The widget salesman’s decision to rethink who was getting preferential treatment in his shop was well founded; it was a very Jesus thing to do. But the retail economy does that. It rewards volume buyers. The grocery store near our house offers “multi pricing;” giving those who buy two (or four) a much, much better price than those who buy one (or two). It’s unfair to those who live alone such as singles or seniors; or people on fixed income; or couples where one has a diet restriction that means they can’t share the same meal items or meal ingredients. My wife and I automatically boycott “multi” offers, which is hard because they are many each week. A couple of full disclosures are necessary here. 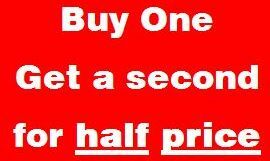 First, I own and manage a retail store and we do have a year-round “Buy 4, Get 1 Free” program that covers well over half the items in our store. It’s flexible, there are modifications throughout the year, and I don’t think it excludes people from the margins, but at the first sign of complaint, I would sit down and talk with them and work something out. Second, we do have a situation from time to time involving one or two people who are like the second customer in today’s opening story. We appreciate being able to participate on volume deals. I think we are able to obtain competitive prices. They might feel they’re doing us a favor, or supporting us in an industry that is often in survival mode. We feel we’re helping them get pricing that is compatible with what they have already seen online. Sometimes there are complications in these orders, and then we have to eat some extra expenses. There are days I’m not sure who is blessing who, or if it’s totally mutual. But I often think about the principle behind the story above and wonder if we’re doing right. I don’t think saying, ‘Today you’re paying list price for all these items’ is a viable option in this case. But I fret these issues. 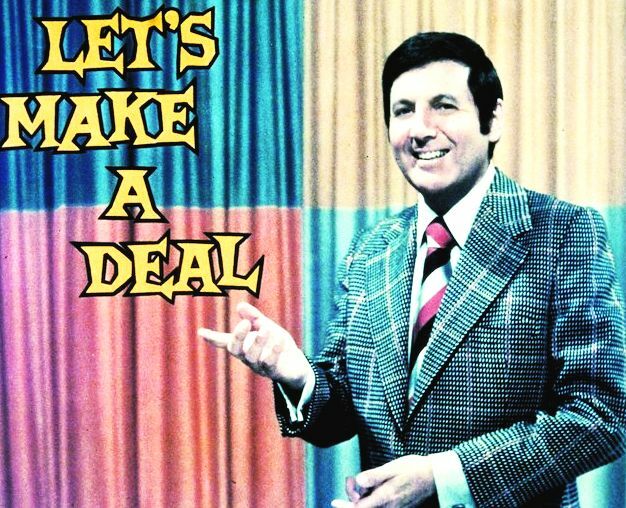 Also, we have a policy to never offer to one person a deal we’re not prepared to offer to anyone making a purchase at a similar quantity. Or even if they aren’t a similar quantity. The last such deal involved 40 units of an item, but I ordered 45 and sold the extra 5 to 3 different individuals for the same price as the larger customer had paid for the 40. It seemed like something right to do. …The story is all mine, as far as I know, so don’t go searching online for the ending. If you have one, feel free to leave a comment. At 8:46 this morning, after a layover in Fort Lauderdale, Chris, our oldest son has arrived back for a week in Haiti after an absence of three years. In 2015, he connected with Engineering Ministries International (EMI), a ministry which comes alongside other organizations for the purpose of designing various types of facilities. His four month internship was centered mostly on designing three buildings to be erected on new land purchased by Welcome Home Children’s Centre, a charity based in Georgetown — about 45 minutes west of Toronto — which operates an orphanage near Marotte, about two hours north of Port au Prince. This time he’s returning with a team from the charity, not EMI. He’s actively kept in touch with them, and has helped out with their website and some fundraising events. He gets to see the first of the three buildings he helped design which has been constructed in the intervening years. Camille Otum was born in Port au Prince, the capital of Haiti, and raised in the nearby town of Cabaret. At the age of nineteen she was inspired to embark on an adventure and moved to Canada. She chose to settle in Montreal, Québec, where she had French language and cultural connections. Once married, Camille, her husband Sam and their family moved to the province of Ontario and now make their home in Georgetown. 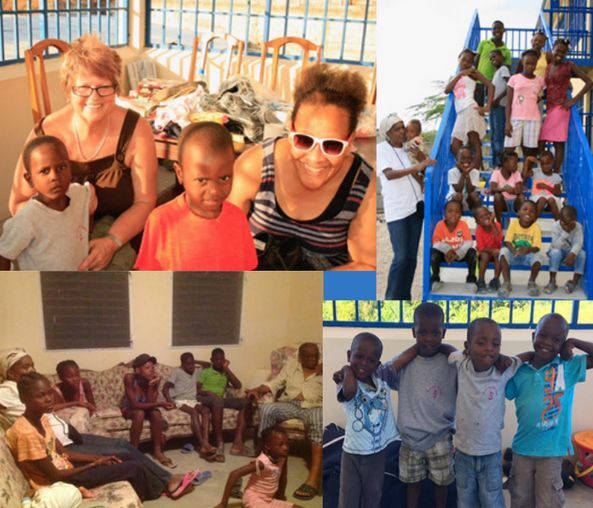 In 2004, Camille joined a group from her church as a chaperone on a mission to Haiti with young Canadians aged 15 to 18. This was an opportunity for her to help in her home country and to offer her leadership and language skills to the project. During the trip, Camille visited her old friends in her hometown of Cabaret. She was quite distressed by what she saw. This was not the village she had left many years ago. Now, she was witnessing homeless children begging in the streets, desperate and malnourished. Camille returned to Canada with this image embedded in her mind and began discussions with her family and friends about the situation in her homeland and her deep desire to help. With the support of her husband, Sam Otum, and her church friends Audrey Hoekstra and Era Ferron and their husbands, Peter Hoekstra and Ezekiel Ferron, and a friend, Caroline Bailey, she shifted into ‘business’ mode. After considering options, they decided to open an orphanage and Welcome Home Children’s Centre was incorporated as a non-profit entity in Canada. Usually, people don’t stay in touch with organizations where they’ve served in a short term mission. Chris is different. He has a real heart for this organization, plus he is able to speak both French and Haitian Creole, which gives his time there greater potential. This is his first “vacation” time since starting his career job two years ago, and he was insistent he didn’t want to just do tourism. He wanted to do something which would make his 7-8 days count. for safe flights for the team going through Niagara Falls airport, to Ft. Lauderdale, to Haiti and then for Chris as he flies back solo doing this same route (other team members are staying longer) and has to find his way from Niagara Falls, NY back to Toronto. for safety, security and health for the team (5 people) on the ground in Haiti. for wisdom as Chris looks at the solar panel electrical system he helped design. 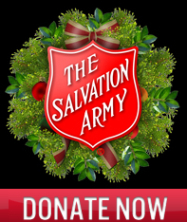 for a fruitful time that is beneficial to the ministry organization, the children in the orphanage, and their leaders. for a sense of God’s presence and leading. The video below was produced 3 years ago by EMI, but gives a great overview of what Welcome Home is about. to go on a one-week trip to a particular country and take part in a highly organized, streamlined design blitz. Map makers, amateur and professional alike, disagree as to what is included as part of the Leeward Islands. This map traces back to Pinterest, but wasn’t properly sourced. In the wake of Hurricane Irma, we’ve learned that up to 95% of the structures on the island of Barbuda have been damaged; but many of us weren’t aware of this island at all until these reports surfaced. 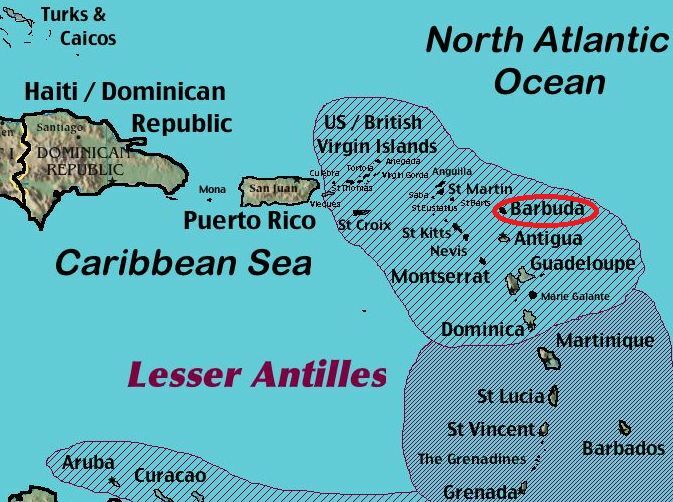 Barbuda (/bɑːrˈbjuːdə/) is an island in the Eastern Caribbean, and forms part of the state of Antigua and Barbuda, which in turn consists of two major inhabited islands, Antigua and Barbuda, and a number of smaller islands — we counted 46 in the list — including Great Bird, Green, Guiana, Long, Maiden and York Islands and further south, the island of Redonda. 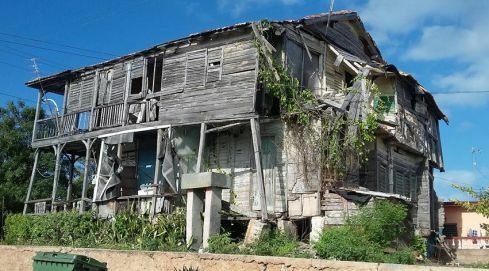 The larger state has a population of 81,800, out of which Barbuda has a population of about 1,638 (at the 2011 Census), most of whom live in the town of Codrington, which is the 10th largest town overall. You’ve also heard references to The Leeward Islands, which describes the whole region. In English, the term refers to the northern islands of the Lesser Antilles chain. As a group they start east of Puerto Rico and reach southward to Dominica. They are situated where the northeastern Caribbean Sea meets the western Atlantic Ocean. The more southerly part of the Lesser Antilles chain is called the Windward Islands. Barbuda alone consists of four (or five) islands and in more normal years, generally experience low humidity and recurrent droughts. The country is a unitary, parliamentary, representative democratic monarchy, in which the Head of State is the Monarch who appoints the Governor General as vice-regal representative. Elizabeth II is the present Queen of Antigua and Barbuda, having served in that position since the islands’ independence from the United Kingdom in 1981. The Queen is represented by a Governor General. The populace consists of people of West African, British, and Madeiran descent. The ethnic distribution consists of 91% Black & Mulatto, 4.4% mixed race, 1.7% White, and 2.9% other (primarily East Indian and Asian). Most Whites are of Irish or British descent. Christian Levantine Arabs, and a small number of Asians and Sephardic Jews make up the remainder of the population. An increasingly large percentage of the population lives abroad, most notably in the United Kingdom (Antiguan Britons), United States and Canada. A minority of Antiguan residents are immigrants from other countries, particularly from Dominica, Guyana and Jamaica, and, increasing, from the Dominican Republic, St. Vincent and the Grenadines and Nigeria. English is the official language. The Barbudan accent is slightly different from the Antiguan. About 10,000 people speak Spanish. There is a greater than 90% literacy rate. In 1998, Antigua and Barbuda adopted a national mandate to become the pre-eminent provider of medical services in the Caribbean. Of special interest to readers here is religion, with a majority of 77% of Antiguans being Christians; Anglicans (17,6%) being the largest single denomination. Other Christian denominations present are Seventh-day Adventist Church (12,4%), Pentecostalism (12,2%), Moravian Church (8,3%), Roman Catholics (8,2%), Methodist Church (5,6%), Wesleyan Holiness Church (4,5%), Church of God (4,1%), Baptists (3,6%) and Mormons (<1,0%). 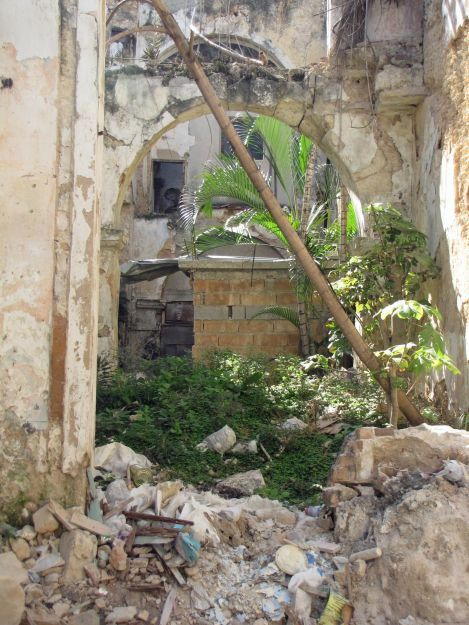 Non-Christian religions practised in the islands include the Rastafari, Islam, Jehovah’s Witnesses and Bahá’í Faith. There are currently three hurricanes in the region including Hurricane Katia and Hurricane Jose. Note: Today’s article is the product of two face-to-face meetings with the author, who is not being named for security reasons. That it appears here on the date of the 20th anniversary of the death of Mother Teresa was not planned but is certainly an interesting coincidence. For more information visit the website under the title below. Perhaps it’s not a caste system the way we normally use the phrase, but there was something eerie about the way two worlds seem to coexist in Cuba: The tourists and those who work in tourism. In one resort at Varadero, a tunnel is used to get workers from the street into the basement level of the hotel. There were no doubt staff entrances at all of the 40-or-so resorts on the peninsula, but it was the tunnel that caught our eye. Workers arrive by bus, not the air-conditioned ones known to the tourists, or even the double-decker versions, but older, hotter, more crowded ones. For the non-tourists, there is also a different currency. We paid for things in CUCs, the convertible, tourist version of the Cuban Peso. Residents pay in CUPs. One Cuban Convertible Peso equals 24.728383 Cuban Pesos. Some stores accept the one, some accept the other, some accept both. …Another lifetime ago, I worked for a musician who played a number of Jewish venues including the banquet halls of major hotels as well as synagogues. It was customary to unload and load equipment through a service elevator or even through a kitchen. I am personally acquainted with what it means to be part of the service staff in a place where, on the other side of the wall, wealthy people are enjoying unlimited food, drink and entertainment. There was something about this trip however where it reflected differently. I was, for seven short days, one of the rich tourists. As noted in yesterday’s article, for our tour guide to stay one week in this place, he would have to spend the equivalent of 19 months’ wages. As noted the day before, there is something unsettling at the fragility of the curtain which separated our tour guide from we tourists. …Last week in the Canadian parliament, a member stood up and mentioned in passing that before his government career he was a bus driver. And guess what reaction that got? The members of the opposition party laughed at him. 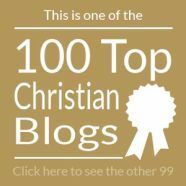 I want to emulate the Nazarene who “humbled himself, taking on the role of a servant.” I want to be able to come alongside the waiter who is carrying too many plates, or grab the other corner of the bed-sheet while the maid makes up the room. But the world doesn’t like it when those barriers are not firmly set in place. Thanks for your indulgence during these 3 articles. 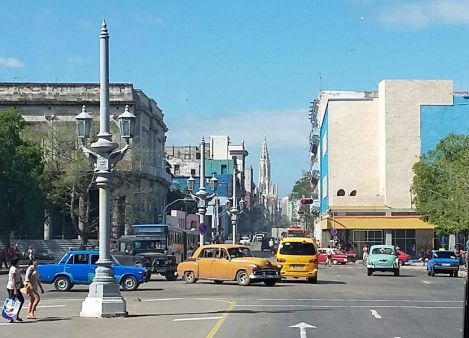 There’s one more which will come a few days later, as I want to share our impressions in a tourist environment that is devoid of Americans and consider the potential of an influx of US tourists on Cuba. 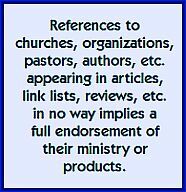 I have been privileged to work in a variety of areas of ministry: For a local church, for a Christian book distributor, for a Christian music distributor, for a Christian book publisher, for two Christian camp ministries, for a Christian television ministry, for an international Bible distributor, as a teacher in a Christian school, for a local Christian newspaper, for two nationally distributed Christian magazines, for a Christian arts organization… well, you get the idea. The mission agency people knew very little about Christian camping or even youth ministry in general…but their third world exposure meant they had good organizational skills, an ability to adapt, and a variety of gifts. Overall, I think the kids who attended that year got their money’s worth from this diversity, even if things at the senior staff level were a constant tug of war…Parachuting people from other ministry disciplines into unfamiliar contexts is not always a great idea. I felt that within their own missions-and-development tribe, there were probably reasons to respect some of these people, not to mention their willingness to take on the camp challenge at the last minute. As I mentioned yesterday, we finally had an opportunity to go to Cuba last week. Our first time on an airplane in 28 years. We debated whether as a nation, Cuba can be considered “third world.” My wife suggested “second world.” Political science is not my long-suit, but given Cuba’s ties to the former Soviet Union, it might fit the definition. These days however, the term describes economic status, not political alignment. Cuba is not undeveloped; their education system alone ought to be the envy of many western countries. Regardless, it was definitely my first direct exposure to poverty on a scale I never envisioned. Further, I never imagined how much it would affect me, seeing this now, at this stage of life. Would it have shaped my life differently to have this experience much younger? Perhaps, but in ways I will never know. When we got home, we calculated that for our tour guide to stay one week in this place, he would have to spend the equivalent of 19 months’ wages. Even the tour he hosted would be a months’ work. I think knowing that helps me to appreciate the experience and to enjoy it more, while recognizing my privileged place and being humbled by it. It wasn’t exactly breaking the fourth wall as is usually defined, but it was a moment in our trip to Cuba where the wall between the lives of the villagers and the rich tourists on the air-conditioned bus was momentarily shattered. Sitting on the bus weaving through a number of towns and villages was exactly what we wanted to see. 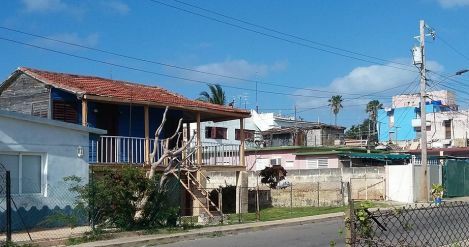 “Today,” the tour guide intoned, “You will see the real Cuba.” It took me awhile to think about the implications of this: In other words, what you’re seeing in the tourist resorts is not the real Cuba. 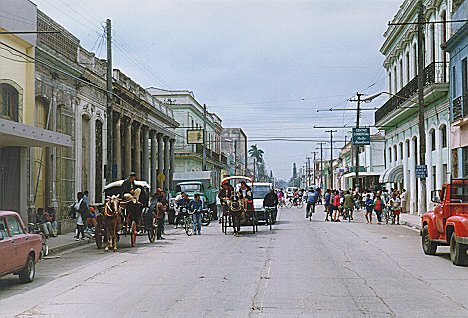 Actually both tour guides on both days used “the real Cuba” phrase. Our guide the second day was more than willing to talk about every aspect of village life. What things costs. How the free university education system works. The age to vote. The parliamentary system. Asking us questions about how similar things transpire back home. Sitting at the front of the bus each time so that we had access to the tour guides was strategic on my part. It meant being able to engage in conversation and ask questions throughout the entire 9 hours (the village tour) or 11 hours (Havana). In a very strange way, the tour guide was, in my mind at least, slowly becoming one of us. Speaking perfect English (in the first case) or both English and French (in the second case.) It was easy to forget that the well-dressed young man sitting one row in front of me holding a microphone was actually a member of the culture in one of the towns where stopped. …When we got back to the hotel I told this story a few times to some other people we had met from Canada. But I couldn’t do it without breaking up. It’s one thing to sit on a tour bus — the analogy we used a few times was of people traveling to Pennsylvania to look at the Amish — but it’s a whole other thing when you’ve spent several hours getting to know personally one of the people who is part of the tableau spreading out before you. It wasn’t a particularly attractive neighborhood. * Not one you or I would choose. And for dinner that night, back at the resort, we would be eating far more than rice and eggs. I’ll write more tomorrow about the impact the poverty had on me. *We didn’t take a lot of pictures in that particular town. The one at the top is borrowed from a tourism site. It’s a contemporary image, not something out of a movie recreation. 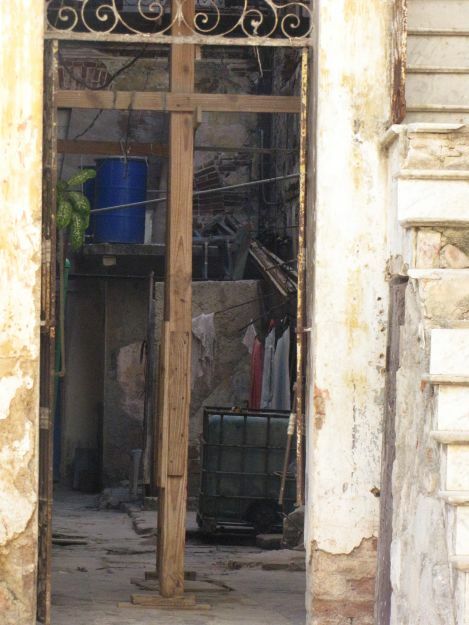 The image below is one we took in Havana. We’re 99% sure that’s someone’s home. She was talking on the phone up to a 30 seconds before we took the picture. While I’ve re-run many articles over the course of the blog, book reviews have not been among them. Book mentions are usually unique to a particular time and place and only relevant while the book is new. The attention of reviewers and readers alike then moves on to whatever is next. About fifty years ago elementary school students had something called ‘readers’ which contained base materials for a variety of subjects. Each page brought some new adventure, they were the equivalent of a variety show for students with poems, psalms, pictures, maps, science articles, biographical stories and fiction. Basically, everything in it but the kitchen sink. I’ve just finished reading Jesus for President by Shane Claiborne and Chris Haw. Like Shane’s previous book, The Irresistible Revolution, this book has everything but the kitchen sink, too. But kitchen sink style, Claiborne and Haw then move on to practical ways that the Church can make a difference especially in terms of the environment, the economy and creating equity. They don’t stop at stamping out poverty. They want to stamp out affluence, too. In some respects, they could have got two very different books out of this, but their understanding of Israel’s history, their interpretation of Christ’s teaching, their take on the first few hundred years of Christianity; all these provide context for where they see the church today. In other words, first you get their motivation, then you get their methodology. Like the school readers of old, you’re left with a primer on social action, with every page yielding something new. (And the visual dynamics of each page help, too.) And not one paragraph, not even one sentence in the book is theoretical. It’s about living all this out on a daily basis. A year after this was review was published, I later covered the Jesus for President DVD which is still widely available. You can read that review here.